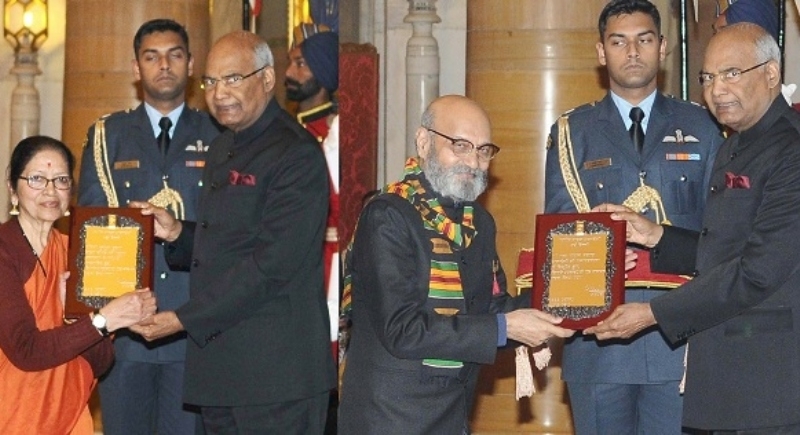 New Delhi, February 6: The President of India, Ram Nath Kovind conferred the prestigious Sangeet Natak Akademi Awards 2017 at Rashtrapati Bhawan in a special investiture ceremony today. 42 artists were selected from the field of Music, Dance, Theatre, Traditional/Folk/Tribal Music/Dance/Theatre and Puppetry and Overall contribution/scholarship in the Performing Arts for the Sangeet Natak Akademi Awards (Akademi Puraskar) for the year 2017. These forty-two artists include one joint award. 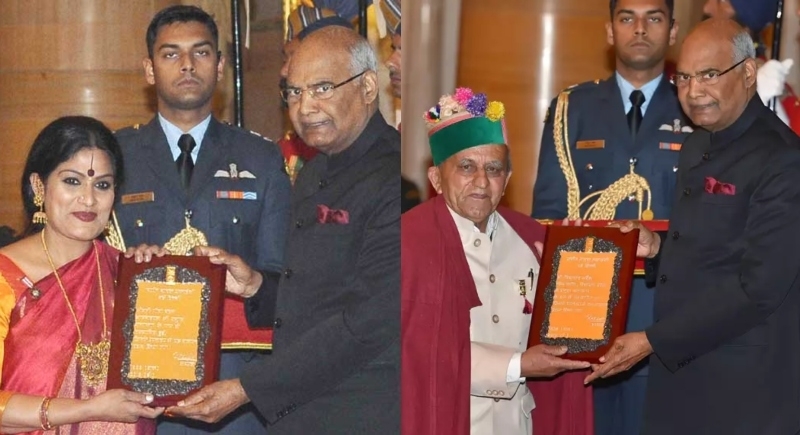 Inaugurated in 1952 by India’s first President late Rajendra Prasad, the Akademi Award not only symbolizes the highest standards of excellence and achievements but also recognizes sustained individual work and contribution. Northeast and Assam made a mark in Sangeet Natak Akademi Awards 2017. From North-east India, artists Ramkrishna Talukdar for Sattriya dance and L.N.Oinam Ongbi Dhoni Devi for Manipuri dance were selected in the field of dance while, for theatre, Shougrakpam Hemanta Singh were selected for Shumang Leela, a performing arts style from Manipur. In the field of Music, eleven eminent artists were selected, while nine artists each from Dance and Theatre were chosen for the glorious award. Ten artists are awarded in the category of Traditional, Folk and Tribal Music. Vijay Verma and Sandhya Purecha were awarded for their Overall Contribution and Scholarship in the Performing Arts. The award carries a cash prize of one lakh rupees, a Tamrapatra and Angavastram. Sangeet Natak Akademi, the National Academy of Music, Dance and Drama, is the nodal agency of the Ministry of Culture, Government of India addresses Cultural Diversity and promotion and dissemination of multifarious cultural traditions and expressions of the country. Union Minister of State for Culture, Dr Mahesh Sharma along with senior officers of the Ministry along with many dignitaries from the field of Art & Culture was present for the event.